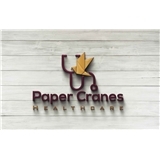 Paper Cranes Healthcare (Chandler) - Book Appointment Online! This office is awesome! Truly concerned with thorough patient care and very customer friendly! So glad to have found her!